Edited by Mark Ward Sr.
Hardcover, 2 Volumes, 611 pages. In the academic field of communication, scholarship on evangelical media in the United States boomed in the 1980s, centering largely on the examination of televangelists. But that wasn’t the heyday of conservative evangelical media; actually, we’re living in it now. Today there are more conservative Christians broadcasting across multiple platforms, such as television, radio, and mobile internet devices, than there ever were in the 1980s. Yet scholarly research on this phenomenon waned after the televangelist scandals of the last century, in part because those televangelists were mainstream pop culture celebrities who caught the attention of academics, whereas the broadcasters of today target almost exclusively the conservative evangelical coculture, which is populous and powerful within its own territory but largely unknown outside it. 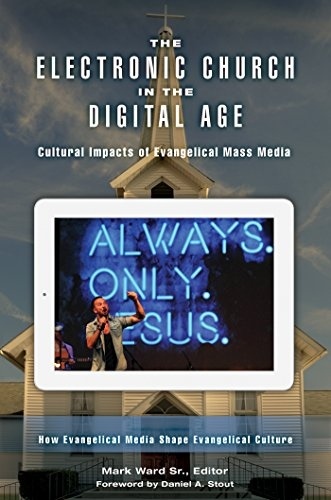 The Electronic Church in the Digital Age: Cultural Impacts of Evangelical Mass Media seeks to rectify that situation. Editor Mark Ward Sr., who earned his Ph.D. at Clemson and now teaches at the University of Houston at Victoria, seeks answers to the question of how evangelical media and communities of audiences interact with each other. His two-volume set is organized according to the pragmatics of these audiences. The first book is inward-facing, examining the ways the conservative Christian coculture is molded by evangelical television, radio, and online messages. The second book is outward-facing, offering studies of how these messages lead conservative Christians to make sense of and relate to the dominant “secular” American culture. Ward, who mentioned in a Christianity and Communication Studies Network webinar that he was raised a conservative evangelical and toured the country’s Baptist churches as a member of a gospel quartet, keeps the tone of the book largely respectful of Christians while holding space for scholarly critique. Chapter 1 (Mark Allan Steiner): Today’s communication scholars should not conceptualize twenty-first-century Christian use of technology as divorced from the history of prior technologies and the history of evangelicalism. We also should not think about television, radio, or the internet separately, because modern evangelical media are delivered simultaneously across all these platforms. 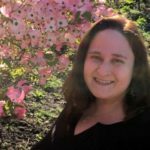 Chapter 2 (Deborah Clark Vance): As an outsider to evangelical radio, Vance notices themes that both create and reinforce evangelicalism as a cultural and spiritual collective identity. She concludes, “evangelical social identity is built on an essentialist gender ideology that is legitimated and naturalized by a spiritual identity that positions evangelicals as God’s insiders” (p. 45). Chapter 3 (Phillip E. Wagner): Audiences turn to conservative Christian television programs for many reasons, including feeling closer to God, belonging to a virtual community of believers, and receiving content they can trust to be safe for their children and their theology. But today, consumers meet those needs through whichever medium is most convenient—and the most interactive—at any given time, so evangelical television must adapt to the new digital media landscape or diminish. Chapter 4 (Stephanie Bennett): The difference between brick-and-mortar churches posting recordings of sermons on their websites versus multiplatform virtual entities such as LifeChurch.tv is that the former is a physical congregation doing the older ways of church online, whereas the latter is a wholly-online church that practices in a new way. This shift in the use of media affects the way evangelicals conceive of themselves as participants in the virtual world of technology. Chapter 5 (L. Ripley Smith and Mark H. Seignious): In a bid to survive in the new media environment, Christian radio stations have been following the preferences of their audiences and, thus, have changed from verbal content aimed at instruction and conversion to musical content communicating simplified, repetitive praise. Chapter 6 (Brent C. Sleasman): Megachurch minister Joel Osteen is a paragon of the new evangelical media culture. His overwhelming popularity can be attributed in part to how well he meets the needs of his audience, which have been molded by the transition from print-shaped reasoning and learning to electronically-shaped feeling and consuming. Chapter 7 (Gregory Perreault): Did you know that even in the virtual environments of massively multiplayer online role-playing games (MMORPGs) such as Final Fantasy XIV, guilds of evangelical players “deploy the resources of the game to cocreate three narratives—moderation, journey, nurture—out of which they construct community and express their faith” (p. 153)? Chapter 8 (Jason S. Wrench): A staple theory among media scholars known as agenda setting posits that media colonize the imaginations of listeners to shape not so much what we think, but what we are and are not likely to think about. Christian radio complicates the model of agenda setting because of its added factors of the motives of broadcast syndicators, preachers, and the evangelical laity, which has negative consequences for homophobia. Chapter 9 (Mark Ward Sr.): The Trinity Broadcasting Network is an exemplar of populist evangelicalism, which emphasizes spiritual experience, worship as a form of therapy, and the creation of celebrities who remain within the evangelical coculture. The National Religious Broadcasters Network, on the other hand, is an exemplar of cosmopolitan evangelicalism, which emphasizes arming its followers to stand in the truth of their faith against the outside secular world. Chapter 10 (Jim Y. Trammell): Jesus Calling, a software application downloadable to mobile tablets and smartphones, encourages users to feel they are personally interacting with Jesus, and then to connect with others who share this intimate experience on social media. Therefore, the medium of the tablet app is shaping theology in ways the users might not be thinking about critically. Chapter 1 (Mark Ward Sr.): Five key moments show that because events in the history of newspapers, radio, television, and the internet could have happened differently, the status quo of evangelical mass media isn’t a divinely-ordained inevitability. Evangelical broadcasters will continue to adapt as technologies unfold. Chapter 2 (Christy Mesaros-Winckles and Andrew O. Winckles): Since Focus on the Family has switched its broadcasting strategy from the “hot” media of radio and print to the “cool” media of streaming internet video, their rhetorical strategies have also switched. Specifically, their advocacy of gendered headship in heterosexual marriage and their stance against LGBTQ people have had to soften and blur for a Millennial audience now consuming their messages digitally. Chapter 3 (Stephanie A. Martin): Dave Ramsey, a Southern Baptist who has built a popular radio, television, and internet presence advocating a biblical approach to personal finance, reflects on the American Protestant work ethic and reinforces the evangelical assumptions that conflate wealth and individual character to the exclusion of systemic inequalities. Chapter 4 (Casey Hart): Conservative Christian radio shows have convinced evangelicals to reject the American public school system as counter to their values of religious observation and parental autonomy. This discourse creates an environment in which alternative Christian charter schools and home schools have arisen, and evangelical children who remain in public schools are framed as victims persecuted by the “secular humanism” of mainstream culture. Chapter 5 (John Sumser): An analysis of conservative religious talk radio shows The Janet Mefferd Show and Focal Point with Bryan Fischer reveals that although the evangelical hosts take polarized positions similar to their non-religious right-wing counterparts in outrage radio, Mefferd and Fischer rely on biblical arguments that sometimes back them into logical corners and make them strange bedfellows with capitalism. Chapter 6 (Scott W. Dunn and J. Adam Tyler): How is political participation framed in evangelical mass media? Conservative Christian radio hosts often take a prophetic stance, claiming to speak for God, and assume any Christian would naturally agree with their political positions; argue that it’s appropriate for evangelical values to inform U.S. foreign and domestic policy because they always have since the country’s founding; and cast evangelicals in the role of maltreated minority standing up for their religious rights even as they back away from any implication that America should be a Christian theocracy. Chapter 7 (John Katsion): Katsion asks how listeners of James Dobson’s Family Talk, Pat Robertson’s The 700 Club, and other evangelical media make sense of their competing allegiances to “God and man” in the context of the Supreme Court’s Defense of Marriage Act ruling. One of the ways audiences make meaning from this tension is by accepting broadcasters’ characterizations of themselves as a “faithful remnant” who must remain loyal to God and battle the mainstream culture that despises them, yet remain within the confines of American government and law. Chapter 8 (Sean Connable): Evangelicals believe that religion is a necessary part of democracy because without faith and virtue the excesses of freedom would run roughshod over the culture. The electronic church preaches this message of the “Christian nation” unopposed in its digital “echo chamber” until it becomes the ground upon which evangelical identity is performed. Chapter 9 (Christopher M. Duerringer): How do you convince members of the largest religious group in the United States that they’re being attacked as if they were a victimized minority? Tell them there’s a war on Christianity; it’s a convenient way to avoid expecting them to give up their privilege in a pluralistic era. “Ultimately, this study argues that the texts [three examples from evangelical media] interpellate individuals into a subjectivity of the ‘persecuted evangelical’ by dehistoricizing and naturalizing the status quo, merging all gods into the god of Christian faith, and conflating Christofascism with religious freedom” (p. 206). Chapter 10 (Shaheen Pasha): Following the terrorist attacks of September 11, 2001, the electronic church has framed Islam as an evil threat integral to the violent decline of society that will eventually lead to the return of Jesus. Painting Muslims as the Satan-controlled “bad guys” fits with the evangelical eschatological narrative of Jews as the “good guys” on whose ground in the unpartitioned state of Israel the Temple must be rebuilt in the end times. The appendices offer similar depth of detail in four sections: 1) a Chronology of the Electronic Church, starting from the invention of the telegraph in 1835 and going all the way to the 2015 FCC ruling on net neutrality; 2) descriptions of major radio and television networks and syndicators throughout the history of the electronic church; 3) professional biographies of the editor and chapter contributors; 4) an index. I commend Professor Ward for his successful achievement of this massive undertaking. One constant throughout the books is the authors’ tendency to treat evangelicalism as monolithic, as solely right-wing, white, and male. No chapters focus exclusively on African-American church celebrities or the gospel music industry. No chapters use feminist methodologies or focus exclusively on women. I found just two acknowledgments of the existence of the evangelical left, and those were mentioned only to explain why the authors weren’t going to address it: “People of evangelical faith may be found on both sides of key social and doctrinal issues: gay marriage, women clergy, ecumenism, and more. Despite this, evangelical broadcasting is dominated by conservatives and fundamentalists” (Trammell, p. 228) and, “Also, the study omitted religious voices on the evangelical left who do not inhabit the electronic church because they largely minister through speaking engagements and print media” (Dunn and Tyler, p. 148). What about the Progressive Christian channel on the popular Patheos website? Sojourners? Rachel Held Evans? Nadia Bolz-Weber (I adore the podcast of her sermons at House for All Sinners and Saints)? What about our own Christian Feminism Today web presence, generating progressive evangelical content in quality and amount far exceeding what could be reasonably expected of our modest staffing and budget? Sure, the media empires of Pat Robertson, Jerry Falwell, and James Dobson are much grander, but there are socio-theo-political reasons for that worth investigating. And then I hang my head; this was the chapter I should’ve written myself. I remember being unable, due to my personal circumstances, to respond to Ward’s call for submissions and hoping someone else would submit a chapter on progressive biblical feminist media and its audiences that would’ve been better than I could’ve written. I wish at least one chapter like that had made it into the set. I understand, however, that no book can cover everything, even in 665 pages, and an editor is always limited by the scholarly interests and personal standpoints of those who submit their work. This leaves an exciting opportunity open for a future volume, perhaps a companion or answer to Ward that applies the same questions about the interactions between media and audiences to the evangelical left in all our diversity of race, gender, sexual orientation, and exegesis. The Electronic Church in the Digital Age: Cultural Impacts of Evangelical Mass Media proves that the communication discipline has a great deal of knowledge to offer on the reciprocal relationship of evangelical Christian audiences and twenty-first-century television, radio, and internet. 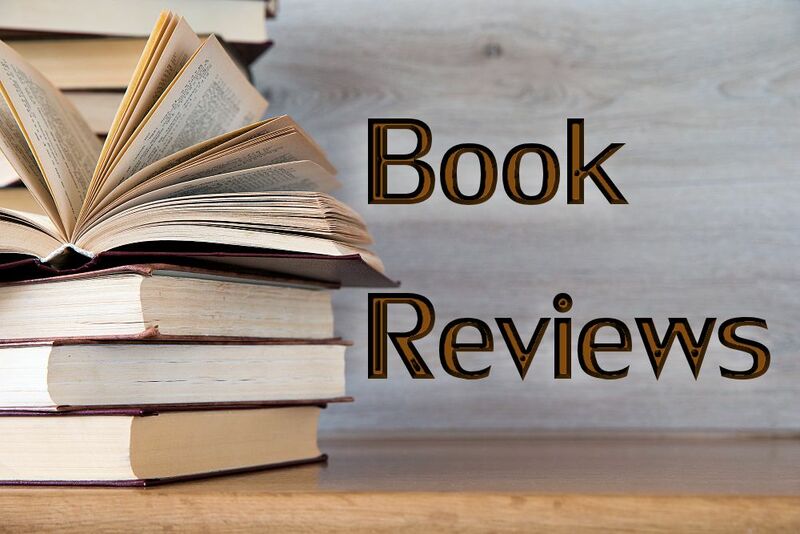 Because the chapters don’t build upon each other, the books don’t have to be read linearly; in fact, it’s better not to because the literature reviews get repetitive. Instead, feel free to skip some chapters and jump around to read the ones on topics of greatest interest to you. But I recommend eventually returning to the ones you initially passed over, because fascinating details and arguments await you throughout this two-volume set. Jewels are tucked within the pages for those willing to trek alongside Professor Ward and the rest of the scholars who have dedicated their careers to illuminating of the interplay between religion and media. Important FTC Disclosure information is here.